Cats are beautiful creatures who have a great deal to offer their human companions. It is believed that cats were first domesticated by humans around 5,000 years ago and were used to help protect farmers crops from mice and other rodents. 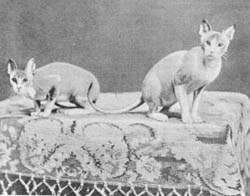 They are still a favorite domesticated pet today, generally not for their hunting abilities but for a variety of other reasons which we will look at below. They don’t need a great deal of space to run around like many breeds of dog as long as their carers provide them with an enriching environment which high up perches to sit on, plenty of toys and lots of games with their human guardians. Unlike dogs, cats don’t require walks (although some cat owners do walk their cats on a leash). Their care is fairly minimal — regular scooping of litter trays, meals twice a day and a weekly groom for shorthaired cats. Pet owners have reduced levels of stress, depression and lower blood pressure. Cat owners have been shown to have an improved immune function, can help reduce the chances of allergies and asthma in children. To stroke, to have on your lap, to keep you warm. Who can resist the beauty and perfection of a feline in the home? Put an empty box on the floor or a large paper bag (never use a plastic bag), some catnip, toys and enjoy the show. Cats are immensely entertaining to watch at play. I adopted a kitten after the break-up of a long-term relationship. She was always there to greet me when I returned from work, she happily snuggled up on the sofa with me to watch a TV show & she would hop onto the bed and sleep beside me, she would listen to me when I needed to talk. She was my loyal companion for many years. The wonderful thing about cats is they rarely if ever smell. They are fastidiously clean, spending a great deal of their time grooming themselves and require very little in the way of grooming (unless you have a long haired cat). Well, most cats, some breeds of cat such as the Siamese are known for their love of talking, but the majority of cats are relatively quiet. You won’t upset the neighbours like you would with a barking dog. Don’t get me wrong, most cats love attention, but are also quite content to spend time on their own, (grooming, sleeping, watching the world go by). Most cats don’t need constant attention. As you can see, cats make great pets, but they do require responsibility on the part of their owners to ensure they are appropriately cared for. Feed a good-quality cat food twice a day. See here for more information on what to feed your cat. Provide medical care where necessary, which includes regular treatment for parasites, annual vet check-ups, and vaccinations as required. Meet their emotional needs, which means don’t just get a cat and then ignore it. Cats require love and attention just as much as their human companions. Regularly scheduled play. This is especially important for indoor cats. There are a vast number of interactive cat toys on the market to keep your cat entertained. Provide the cat with the necessary equipment such as a cat bed, scratching post, litter tray, toys. See here for more information on cat products you may require. Next articleWhy Is My Cat Hiding? Registered vs Backyard Breeders-What is the Difference?